President Mnangagwa yesterday gazetted pension and retirement benefits which a Zimbabwean former Head of State and Government should enjoy on retirement. The benefits were published in a Statutory Instrument of an Extraordinary Government Gazette in terms of Presidential Pension and Retirement Benefits (Services and Facilities for Former Presidents) Notice, 2017. Former President Cde Robert Mugabe is expected to be the inaugural beneficiary of the entitlements. Regarding housing and household, the former President will get a fully-furnished official residence at any place in Harare. 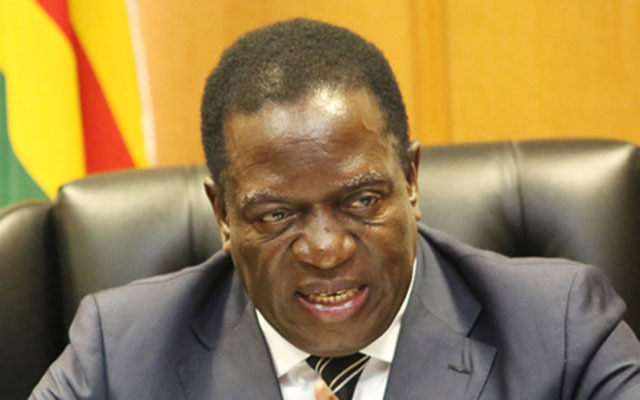 A former President will also be entitled to a housing allowance to be determined by the sitting President, or a single private residence acquired or constructed on his or her behalf at any place of his or her choice in Zimbabwe or payment of a lump sum equal to the value of the private residence. There will be international air private travel up to a maximum of four trips per annum including the spouse if he or she accompanies the former President. On transport, a former President will be entitled to one sedan (Mercedes Benz S500 Series or an equivalent class of motor vehicle), one four-wheel drive station wagon or equivalent, and a pickup van. An adequate number of vehicles as might be determined by the President should be at the disposal of security personnel and other staff serving the former President. Fuel costs will be borne by the Government and all the vehicles must be permanently at the disposal of the former President and be replaced after every five years.